Some diners eat at restaurants in order to taste the cooking of highly trained chefs. Dining supervisors are often hired in order to oversee the waitstaff, including the busboys and the waitresses, in order to ensure that the restaurant customers have everything that they need. Dining room supervisors inspect staff members to make sure that they are groomed and clean in order to appeal to guests. These supervisors are responsible for overseeing the opening and closing of the dining room and are also responsible for ensuring that all dining room supplies are stocked. Regular inventories must be taken in order to make sure that supplies are purchased when needed. These supervisors oversee all cleaning of both the dining area and the kitchen. Whenever there are unsafe working conditions, these conditions are reported to the supervisor and must be resolved. These supervisors are responsible for overseeing staff training and certification, according to JW Marriott Orlando Grande Lakes. Whenever there are concerns brought up by the guests, the dining supervisor is responsible for addressing these concerns. Dining supervisors tend to work over 50 hours a week. At food service establishments that operate 24 hours a day, these supervisors sometimes have to work night shifts. These supervisors must be very flexible and capable of responding to unpredictable situations. The environment of the food service establishment sometimes produces hazards such as burns, falls and cuts. Dining supervisors are most often trained through a training program offered by one of the dining establishments that they have worked for after the supervisor has shown the potential for leadership. The dining room supervisor must have good interpersonal skills since the supervisor must both work well with customers and develop a healthy working relationship with the staff. The supervisor must also be very detail-oriented in order to be able to notice issues such as undercooked food or unclean tables, according to JW Marriott Orlando Grande Lakes. Since these supervisors are often the only ones overseeing a food service establishment, they must be able to take the initiative and resolve problems without supervision, which requires good analytical and problem solving skills. Between 2008 and 2018, the need for food service managers such as dining supervisors is expected to grow by 5 percent, which is slower than the average pace expected by the Bureau of Labor Statistics. This slowing growth is due to a declining number of restaurants to be opened. The median annual wages for food service managers in 2008 were $46,320. The highest 10 percent earned more than $76,940, while the lowest 10 percent earned less than $29,450. Pearson, Charles. "Job Description: Dining Supervisor." 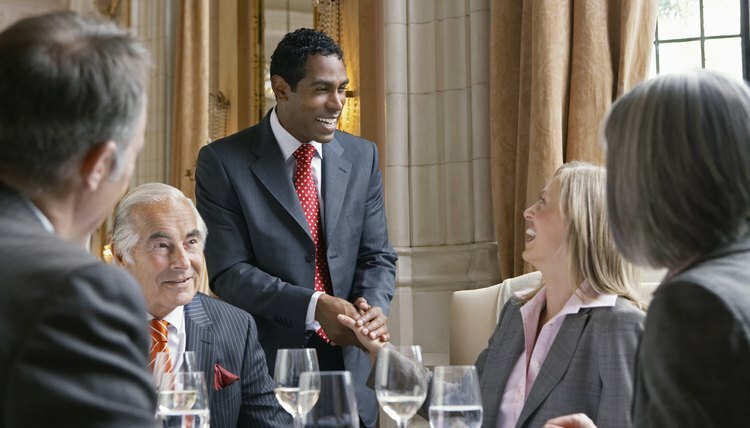 , https://careertrend.com/about-6702024-job-description--dining-supervisor.html. 27 December 2018.